Other than tying knots, I like to read and write and listen to podcasts that make me think...or laugh! I think podcasts & macrame are a match made in heaven. Some podcasts I love to listen to while doing macrame are Harry Potter & the Sacred Text, Heart House Radio, and the WeCroak podcast. I also teach yoga classes a couple nights a week and I love taking yoga classes, but I think I love cooking even more. I'm in love with experimenting with food and trying new things. I am also hooked on ABC's the Bachelor/Bachelorette. If you know me, you might think this is out of character, but I just can't help myself! I wouldn’t call it a macrame “business”. I work from home teaching English online and I set my own hours, so it’s up to me to find the time to create if/when I feel the urge or get inspired. There was a time I dreamt of making my art into a business, and now those dreams have been replaced with other callings! It was a pretty humble beginning and an organic transition into bigger scale pieces. I used to make friendship bracelets out of embroidery thread when I was in high school. I taught myself using a book from one of the craft stores. The knots used in macrame are actually the same in friendship bracelets, fun fact! Making friendship bracelets turned into making hemp jewelry, then other knotted crafts like coasters, plant hangers and bags, and from there I was inspired by people putting their macrame pieces on walls! The presence and focus I find when I settle in to work on a project is meditative in quality. I don’t use patterns or sketches most of the time, so it’s exciting to have an idea and then see where it leads. Most of my finished work looks nothing like the original idea. There are infinite ways to use 2-3 knots to make a magical textured beautiful weaving! The creativity is boundless. What’s your funniest story from your job? I take macrame very seriously, thank you very much. Just kidding - I have a hard time taking anything seriously. In my first workshop ever the language I was using to teach a square knot actually sounded very…..sexual. It was totally unintentional but there was wine involved in that workshop, so the students DEFINITELY noticed! What do you offer beyond this amazing class at The Zeal Center? I enjoy podcasts so much that I decided to create one! I’ve created GraveDancers: Life and Leadership After Loss as a way to bring love and light into conversations about grief, loss & impermanence. You can listen to it on iTunes or at my website. 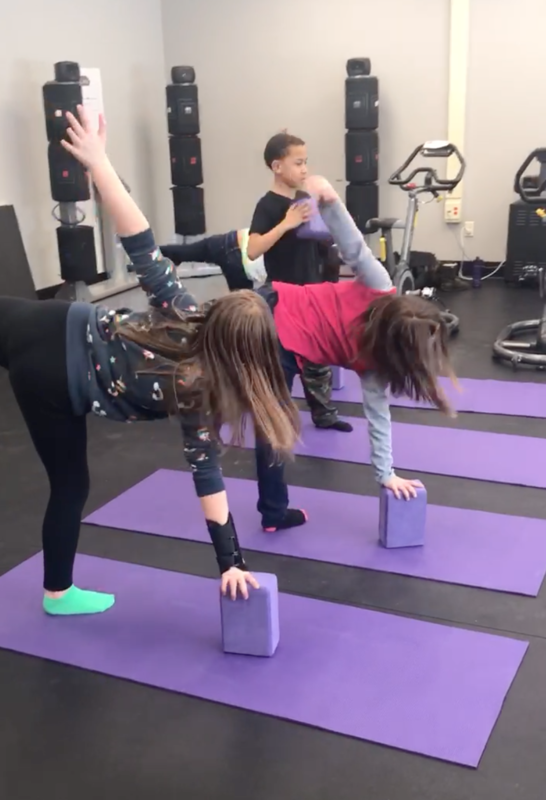 I also teach yoga twice a week: 7:00pm on Mondays at Roc & Soul Fitness in Webster, and 6:45pm on Thursdays at NuMvmnt on University Ave in Rochester! Where can we find you online or in person? Join Alyssa this Saturday, March 30th from 11 am - 1 pm at The Zeal Center! She’ll be teaching us how to create beautiful macrame wall hangings, we’ll have snacks and so much fun. Hope to see you there! What an amazing beginning to 2019! There has been a lot going on over here in Sodus, NY. So much that I wanted to give you all an update on the insides of the Zeal Center and what’s going on outside too! At the Open House event, we introduced our new shop! Filled with fun and colorful Gaiam yoga equipment, our favorite Banyan Botanicals products and some Zeal Center specials, like t-shirts, stickers and postcards. Our Gaiam yoga equipment includes bolsters, blocks, reversible yoga mats (with beautiful designs) and 8 ft yoga straps. We love the quality of these products. Perfect for a home practice space or to bring to your favorite classes. Our Banyan Botanicals products include Healthy Hair Oil, Breast Care Balm, Sleep Easy Oil and more! We have free information on how to use some of the products. All of the products are non-toxic and natural. Our shop space is currently open around the class schedule. Come before or after a scheduled class to check out our products! January’s workshops were all about self-care. Julie taught two beautiful Yin Yoga classes, focusing on releasing the deep tissues in the muscles and slowing down your practice. Yin Yoga creates a very meditative space and is the perfect relaxing practice. We’ve scheduled another class for April 15th from 6:30 pm - 7:45 pm. No experience necessary. Click here for more information. Dynamic Thermal Imaging, Patty Paprocki from A Gentle Breeze Massage Therapy and Julie from the Zeal Center came to present at Supercharge Your Breastcare. They spoke about preventative scans from Dynamic Thermal Imaging to see if there is inflammation building in the body, a precursor to heavier illnesses, basic lymphatic massage and self-care tips for preventative care. It was packed full of information and was a wonderful presentation. We also began our Community Yoga Classes again! On scheduled Saturdays, we hold a beginner’s level class that is pay-what-you-want style. Come for free or give a couple dollars - it’s up to you. 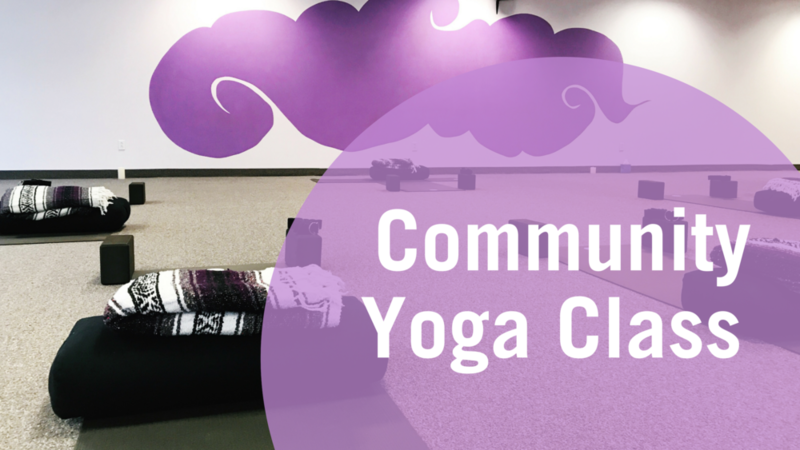 Click here to check out our calendar for the next Community Yoga Class. The Zeal Center also had the opportunity to work with kids at Sodus Central School District in January and February! 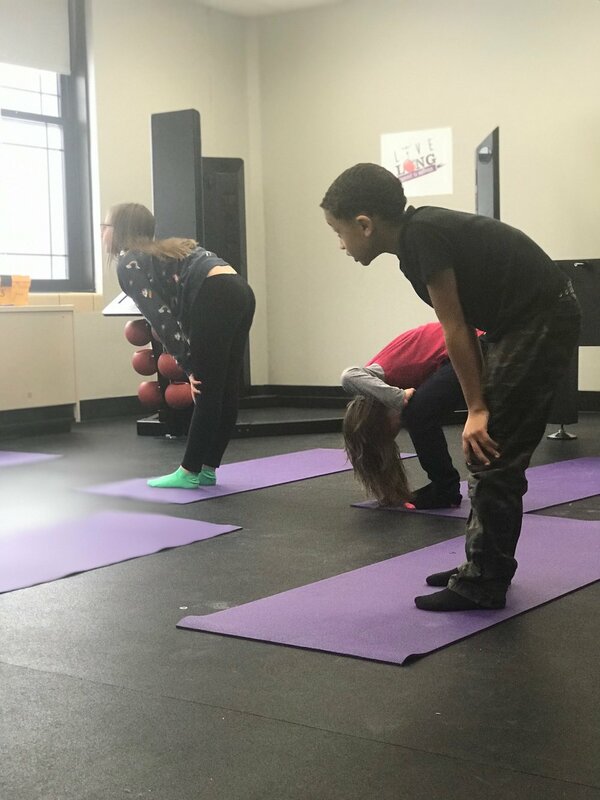 Mackenzie worked with the kids on positive affirmations, quieting down to notice how the body feels and moving the body to release energy through yoga sequences. We had so much fun! We began February at the Zeal Center learning about Labyrinth Walking. During our workshop, we talked about the history of labyrinths, why and how we would use a labyrinth, how to create a labyrinth, built one together inside the Zeal Center and then we walked our creation. It was such a beautiful night and we’re looking forward to more labyrinth walking in the future! On February 13th, we celebrated Galentine’s Day! Every year, we celebrate being with our gal pals on Galentine’s Day. This year’s event was just as fun as last year’s! 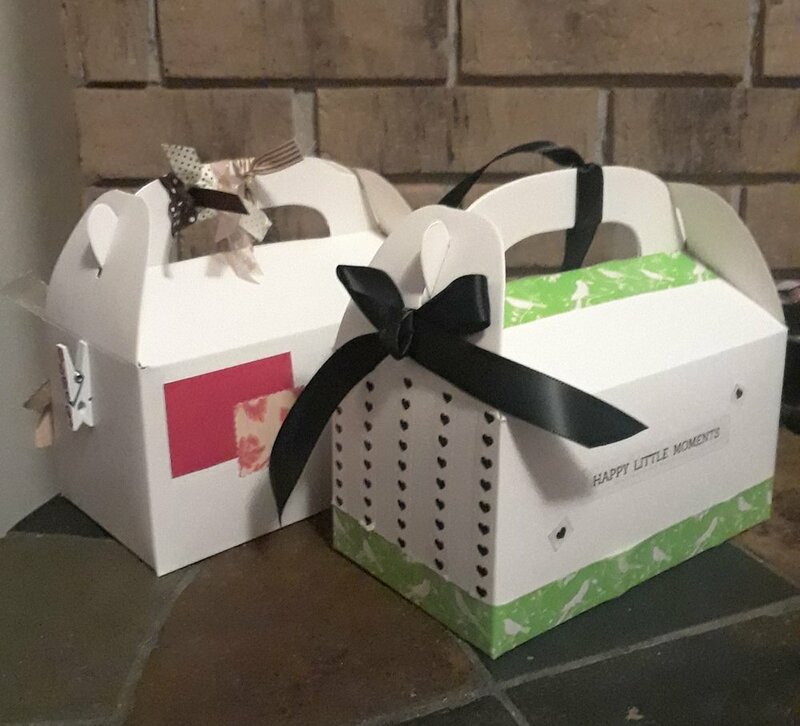 We ate yummy snacks, made bracelets, sugar scrubs and Valentine’s cards for the folks at Sodus Rehabilitation and Nursing Center. It was a great night full of lots of love and laughs. Mackenzie also has begun offering private energy healing sessions. Mackenzie is a Reiki I & II Practitioner and a current student in The Jaguar Path training. She’s so happy to offer tools to others that have shifted so many aspects of her life! Find out more on her offerings and make an appointment by clicking here. Thank you to everyone who made this year start on a bright, shiny note! We’ve had so much fun already and there are so many more awesome things coming. Keep checking out our calendar and Facebook page for what’s coming up! This Spring, we’re welcoming a new teacher to the Zeal Center. Please help me welcome Kim Taylor of Holistic in a Heartbeat! 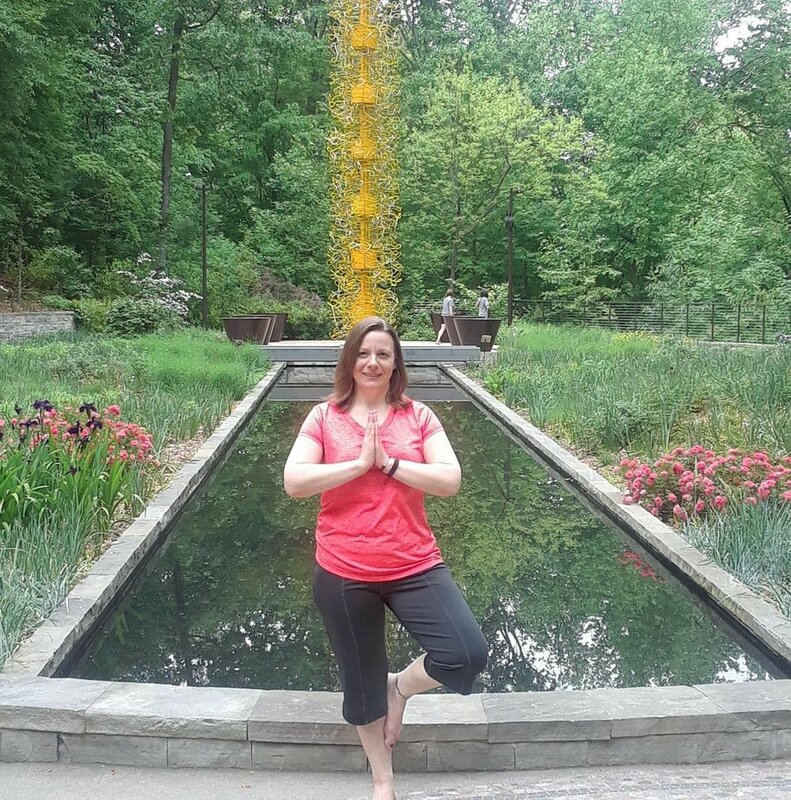 Kim is the founder of Holistic in a Heartbeat in Rochester, NY. She encompasses the holistic approach of the mind, body and spirit through coaching and integrating plant-based nutrition. Her purpose is to guide women to be the healthiest they can be and live a life full of energy. Tell us a little about you: In my free time I love to be outdoors and explore. When the weather is nice you'll find me hiking every weekend. I also enjoy photography, yoga, and reading. Tell us about your business: Holistic in a Heartbeat encompasses the holistic approach of the mind, body, and spirit through coaching and integrating plant based nutrition. My purpose is to guide women to be the healthiest they can be and live a life full of energy. As I transitioned to a plant based diet, I found myself being asked questions that I didn't know how to answer. This inspired me to learn everything I could about my new lifestyle. The more I learned, the more passionate I grew about sharing this information with others. Plant based nutrition gave me the energy and mental awareness to encompass the holistic approach to my life to bring my mind, body, and spirit into alignment. I have lost over 40 lbs, healed from health issues, and overcome depression and anxiety. I hope to guide others through their journey to a happier, healthier life. My favorite part of my work is making a difference in someone's life. I have the opportunity to meet many different people and hear each person's individual story. As much as I love helping others, I am also able to be inspired and learn from what others have gone through. I offer one on one life coaching to a happier, healthier you! Rooted in plant based nutrition, I encompass the holistic approach of the mind, body, and spirit. I offer several package options with varying time frames to guide you on your journey. In addition, I offer a variety of workshops to encourage, uplift, help you manage stress, and give you tools to live a healthier life. You can find me on Facebook and Instagram at Holistic in a Heartbeat. How can you experience some of Kim’s amazingness? She’ll be at the Zeal Center for two new events! When am I NOT a beginner yoga student? A student asked me a few weeks ago "When am I not considered a beginner yoga student anymore?" Good question. In the moment, I tried to answer in a couple of logical ways but the answers kept circling back around to the original question. When does someone shift past beginner? In my own practice, I’ve been contemplating this very dilemma. I teach 6-8 yoga classes a week, am building my own personal practice, am consistently reading about yoga, am currently in trainings to deepen my practice BUT I can’t gracefully come into crow pose so I must be considered a “beginner”…? And in this reflection, I’m definitely comparing myself to the Instagram yogis that I see in wheel pose, forearm pressing into handstands and a ton of other poses that my body isn’t ready for (and maybe never will be!). In this moment of contemplation, I can deem myself a failure of a yoga teacher or I can consider that asana (the physical practice of yoga) is not all of yoga. There are eight limbs that make up yoga practice and no where in those eight limbs says that you have to be able to master crow pose in order to be considered an “intermediate” student (that I know of, at least). And here, we come back to that same question - When am I not considered a beginner student anymore? You will always be a beginner student. Every single day, you wake up anew. You slept in a different position, you experienced different things yesterday than you did the day before, you ate differently, you spoke to different people, you experienced different thoughts and emotions, you are different today. And therefore, today, as you step on your mat, this is a completely new practice. Reading this paragraph was the most incredible release of pressure for me. There’s no need to compare myself to yesterday’s self!? Ah!! Yes!! Freedom! Every daily moment, every yoga practice, every breath is completely different. I know that I’ve had yoga practices where my neck or leg was definitely not going to go into that position that I’ve done 500 times before and those where I flowed in so easily that I felt like I’d been doing this since I was born (which we totally have but that’s another post). Sometimes, those practices were in the same week. My goal from here is to embrace the beginner’s mindset in my yoga practice as well as my daily life. This is the 300th time I’ve done warrior, what can I learn today? This is the 1000th time I’ve washed the dishes, what can I learn today? The new year is here! Everything feels like a fresh start. Maybe you cleaned your house vigorously yesterday (like I did), maybe you promised yourself to let some things go, maybe you set your goals in your pjs by a fire or maybe you celebrated with friends and stayed up all night to greet the new year. Anyway that you welcomed in this new year is awesome. For me, there's always a huge, deep breath of release and refresh as we round the corner to the next trip around the sun. It serves as a check point to reflect on last year's intentions, think about all of the positives things that happened in the past year and dream about where I'm ready to go next. Although many people may be making resolutions for this next year, in the past few years, I’ve shifted my focus to intentions. What’s the difference? Let’s explore. Resolution is defined as “a firm decision to do or not to do something.” I’ve made many resolutions in the past that sounds like, “I will eat NO bread in 2019!” and then 5 days in, that cinnamon roll looks reeaaallyyyy delicious. This firm “no” creates a perfect opportunity for judgement and very little compassion for my humanness. Intention is defined as “a thing intended; an aim or plan”. I love the idea of aiming at something, because sometimes, 3, 6 or 9 months in, the target moves. We as humans, are constantly developing and changing (thank goodness) and in my experiences, the target continues to move. My intentions are usually short and sound like, “Dare greatly”, “Leap”, “Trust” or “Sacred”. When I set intentions, they allow me space to move, grow, explore and have compassion for myself if my expectations don’t go as planned (side note: they never do). As you set your intentions for this next year, consider adding a little compassion and flexibility into your goals. Instead of a concrete goal like, "I will lose __ pounds", consider shifting to, "I will move more!". Or just pick one word to explore throughout the year, like “core”, “trust”, “explore” or “reach” and think about how these can apply to all of the areas of your life. Most importantly, even if you have a concrete goal, practice compassion and non-judgement with yourself. Your expectation may not turn out the way you imagined, but you might get something even better in return.